Organization Advanced Development & Building Services – Trusted building contractor since 2008 – Phoenix, Scottsdale, US. Advanced Development & Building Services has been a trusted building contractor in Phoenix, Scottsdale, and Prescott, Arizona since 2008. Specializing in residential and commercial construction projects of all sizes, we bring over 60 years of combined construction experience and dedication to quality to our customers. From residential home improvement and restoration to custom homes and commercial construction, Advanced Development & Building Services offers a “one-stop” call when construction, reconstruction, renovation, environmental or restoration services are needed. From kitchen and bath renovations to custom built homes, commercial construction, and multi-family building maintenance and tenant improvement to name a few, Advanced Development & Building Services you can rest assured that our knowledge of construction and attention to detail often uncovers what less experienced construction contractors may miss. Dedicated to the overall experience and service that our customers receive throughout every stage of our process, no matter how large or small the project, relationship building is a top priority for us and we have grown our company to meet the ongoing needs of both residential and commercial construction clients. For more information on residential and commercial general contracting services in Phoenix, Scottsdale, and Prescott AZ, call Advanced Development & Building Services at 602-753-0863 or (928) 220-8990 in Prescott, AZ today. 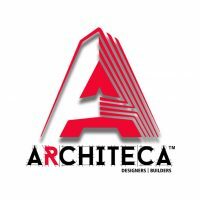 Architeca Designers and Builders – Construction, Interior design – Nagercoil, Tamil Nadu, India. RCL Building & Remodeling, LLC – Home builder and remodeling contractor – New fairfield, CT, US. Wine Country Custom Homes – We build dream homes – Santa Rosa, CA, US.